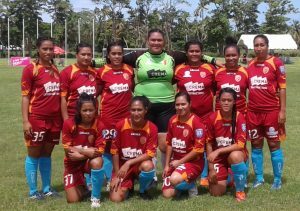 TongaFootball > News > News > TFA Women’s League Stage 2 kicked off! Who will be the Champion? Liviela? Navutoka?Veitongo? or Hunga Neiafu? The two top teams from Vavaú arrived in the week-end in their preparations for the the stage 2 of our Women’s League, and they are Liviela and Hunga Neiafu. While Veitongo and Navutoka the two top teams in Tongatapu are awaiting for the final stage. This Women’s League stage 2 was scheduled for November 2016, but TFA delayed as Vavaú’s league was not completed at the time. The first game of the match day one was Navutoka versus Hunga Neiafu. The Navutoka consist of former and current national players while the Hunga Neiafu consist of new and young local players. 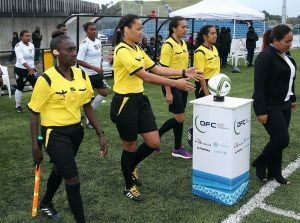 During the first hafl, Navutoka proved what they capable on the field as they scored every 4 minutes but Hunga Neiafu girls still managed to fight back even though the score board is ticking every four minutes. Before the half time, Navutoka put up 10 goals while Hunga Neiafu still nil. The second half got a little messy as Hunga Neiafu was desperately went in search of a goal, and finally in the 62′ minutes Hunga Neiafu put their first goal on to the score board. That’s really gave the team a huge boost and their reserved goal keeper came in fresh with tremendous techniques. However Navutoka sealed the victory in the two minutes of additional time, and the final score is 22 – 1. Éseta Vi of Navutoka scored 8 goals, Heilala Fitikefu scored 5 goals, ‘Una Tahituá scored 4 goals and Mele Kafa scored 3 goals. This women’s league is part of the FIFA Development grant of 2016 together with LIVE YOUR GOALS campaign. Previous Post A mother’s shoe is way too Big!